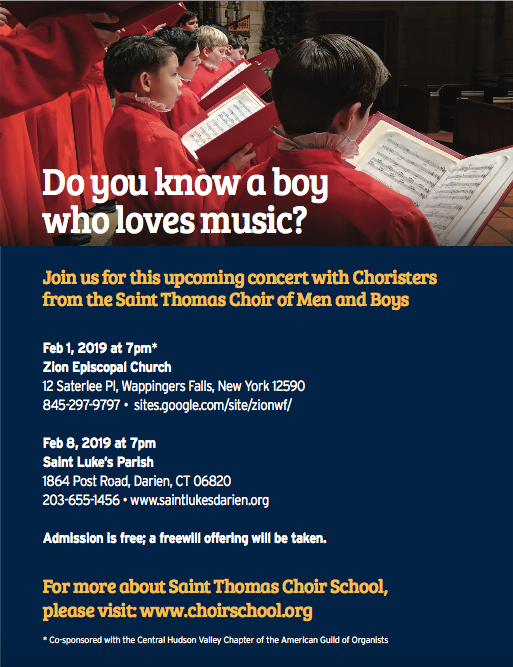 The Friends of Music of Saint Luke’s Parish, Darien, are excited to welcome the boys of the esteemed Choir of St. Thomas Church, Fifth Ave., on Friday, Feb 8, at 7 p.m. The concert, featuring a variety of music and held in the historic nave of Saint Luke’s, will be conducted by Daniel Hyde and accompanied by Ben Sheen. The concert is free and open to the public. 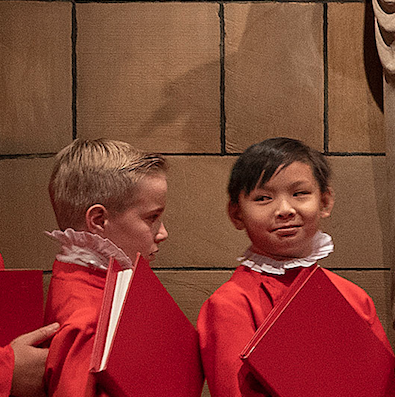 “We are elated and honored to have a choir as revered as the boys of St. Thomas to sing for our community,” said David Pulliam, director of music and organist at Saint Luke’s. 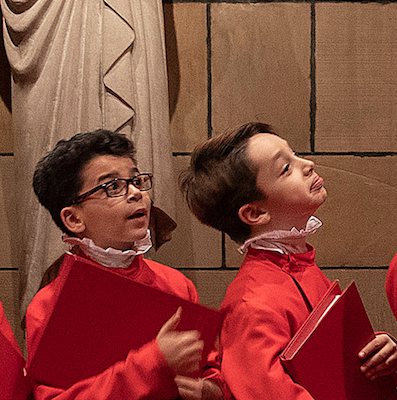 The Saint Thomas Choir of Men and Boys is considered by many to be the leading ensemble of its kind in the Anglican choral tradition in the United States. Over the past four decades, the choir has toured throughout the U.S. and Europe with performances at Westminster Abbey and St. Paul’s Cathedral in London, King’s College Cambridge Windsor, Edinburgh, St. Albans and the Vatican. The Boys of the St. Thomas Choir of Men and Boys can be heard at 7 p.m., Friday, Feb. 8 in concert at Saint Luke’s. Donations to the St. Thomas Choir School will be graciously accepted, and will follow in the Parish Hall. Saint Luke’s Parish is located at 1864 Post Road.